Connecting devices for monitoring, sensing, communication, and analytics. Architecting and building scalable and secure applications in the cloud. 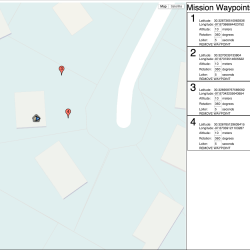 Automating drone tasks, activities, and missions. Control drone from cloud, using browser or your voice. Explore the next frontier in device interactivity — control cloud connected devices with voice commands. IoT is here. Innovators are racing to disrupt the marketplace with smart sensors, remote capabilities, and the analytics derived from countless millions of data points. We already share the road with self-driving cars. Intrepid inventors are programming UAV (Unmanned Arial Vehicles - "Drones") to survey land and deliver packages. We are welcoming multiple Internet connected devices into our homes. In a short time, your industry will be transformed by these technologies. The question is, will you lead the charge, or will you be left behind? Dataworlds is bridging these various technologies to deliver solutions which were unthinkable mere months ago. Let's talk about what we can do for you. Connected Devices. Intelligence from the field. Control from afar. Connected compute without infrastructure. Instant provisioning, elastic scale. Finding the needle in the haystack. Moving the needle for your business. The next frontier in UI / UX. 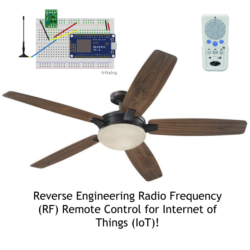 "Tea, Earl Grey, Hot"
Reverse engineering RF Remote for IoT! Update: This solution won First Prize on AWS IoT Mega Contest, and was featured on Slashdot! 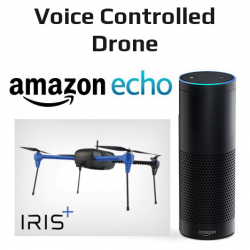 Echo Drone Control is a proof of concept to control a quadcopter entirely and solely through Amazon Echo “Alexa” voice control interface. Dataworlds helped iSPRESSO create an award-winning, smart, connected espresso machine.